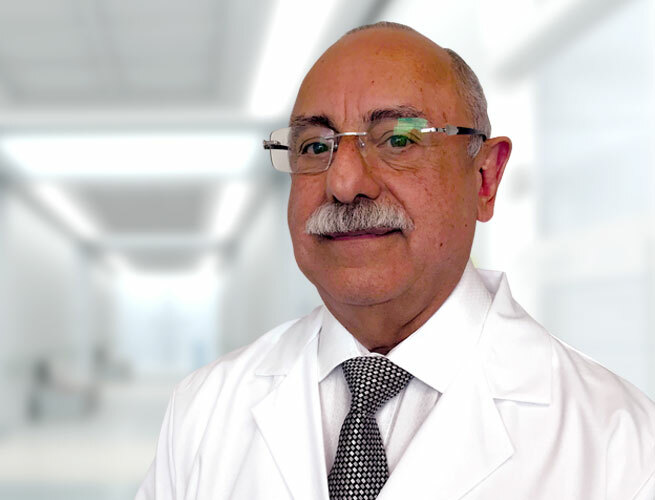 With Over 33 years’ experience as a General Neurosurgeon in a solo private practice affiliated with Gadsden Regional Medical Center in Gadsden, Alabama, Dr. Henry Ruiz brings exceptional quality of care to his patients as a Neurosurgeon. Dr. Ruiz is bilingual in both Spanish & English and has been certified by the American Board of Neurological Surgery since 1989. He began his studies at the University of Michoacana de San Nicolas Hidalgo, Morelia, Michoacán, Mexico. He completed his post-graduate General Surgery Internship at The Jewish Hospital, Cincinnati, OH followed by his Neurosurgery Residency at the Semmes-Murphy Clinic, University of Tennessee in Memphis, TN from 1979-1984 and was also the Former President of the Alabama Neurosurgical Society. Dr. Ruiz has developed an expertise in conventional and image guided craniotomies; Simple and complex spinal discectomies, decompression and fusions; Conventional and minimally invasive spinal surgery; Endoscopic peripheral nerve surgery; Pain neuromodulation; Spinal cord stimulators; Intrathecal infusion pumps for cancer pain & Xyphoplasty. In Dr. Ruiz free time he enjoys playing tennis, scuba diving, ballroom dancing and traveling.